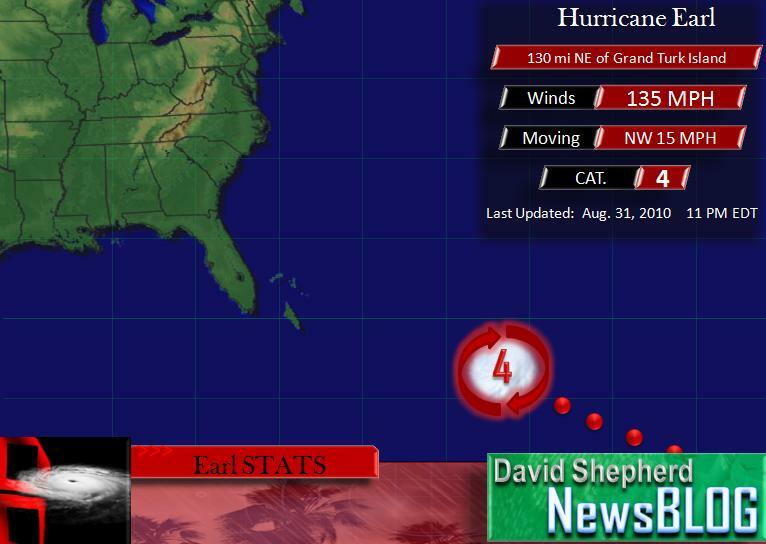 Hurricane Earl re-strengthened Wednesday back to a Category 4 storm with maximum sustained winds of 135 mph, according to the National Hurricane Center. North Carolina’s governor declared a state of emergency Wednesday as the forecast track of hurricane Earl pushes the storm very close to the east-coast of the United States. 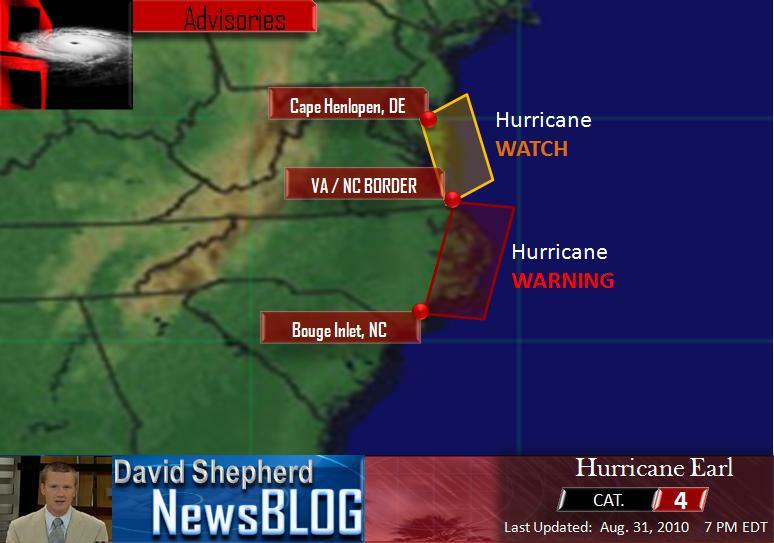 Residents and visitors are on high alert on North Carolina’s Ocracoke and Hatteras islands after the National Hurricane Center issued a hurricane warning for most of the state’s eastern coastline Wednesday morning. Both islands are now under an evacuation order as more than 5-thousand tourists, and some year-round residents, pack-up and get out of the massive storm’s path. While residents there are being urged to leave, only visitors are being required to evacuate. 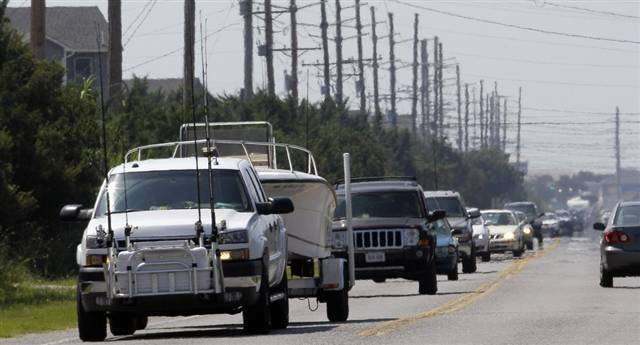 The bridge leading from Hatteras to the mainland has been packed with west-bound cars, some pulling campers and trailers, as a mass exodus continues as Earl continues to pack a powerful punch, churning toward the United States with maximum sustained winds of 125 MPH. On Ocracoke Island, the only passage to the mainland is by ferry. Evacuees began lining up early Wednesday morning, trying to get on the first ferry off the island. By early Wednesday afternoon, cars were backed up on N.C. Highway 12. It’s the only way to get from the Outer Bank’s barrier islands to the mainland. 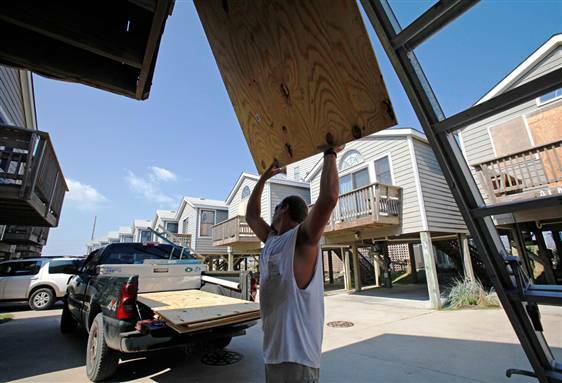 While the North Carolina coastline is often subject to hurricane conditions, some officials say there has not been an evacuation, on this scale, for a very long time. “I don’t remember the last time there was a mandatory evacuation order for the island,” Hyde County Commissioner Kenneth Collier told NBC News Wednesday. The current track has Earl nearing the eastern United States sometime late Thursday – early Friday morning. 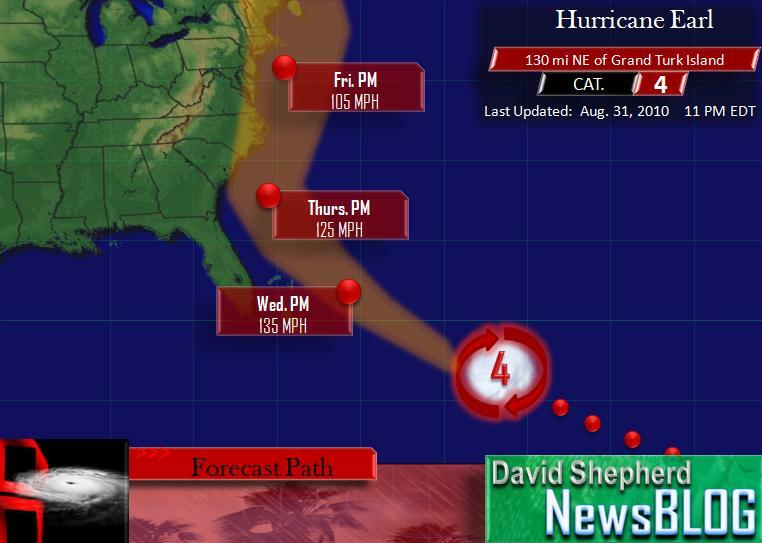 As we’ve seen with other hurricanes, the track can change at any minute. Right now, it appears Earl with just hug the coast as it heads north past the Carolinas, up toward the Delmarva, eventually possibly making landfall on Cape Cod, Massachusetts. Even a slight westward shift in the track of this powerful category 3 hurricane could dramatically change the potential damage the storm could cause. 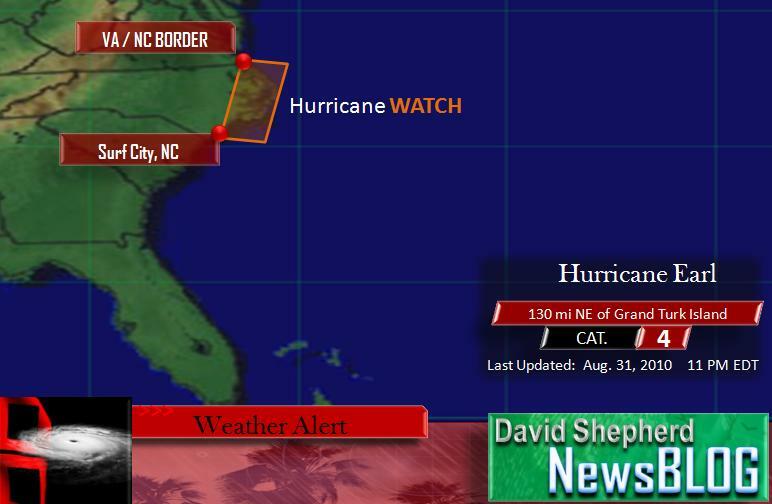 Residents up and down the east-coast are being urged by local officials to continually monitor the situation for any late-breaking developments. Officials warn more evacuations could be ordered if the storm changes its current track. The National Hurricane Center said Wednesday Earl’s hurricane-force winds extend 90 miles from the center of circulation, and tropical storm force winds extend out more than 200 miles. Even if Earl doesn’t make landfall, the storm’s center is expected to hug the coastline as it moves north, circulating those hurricane force winds inland.